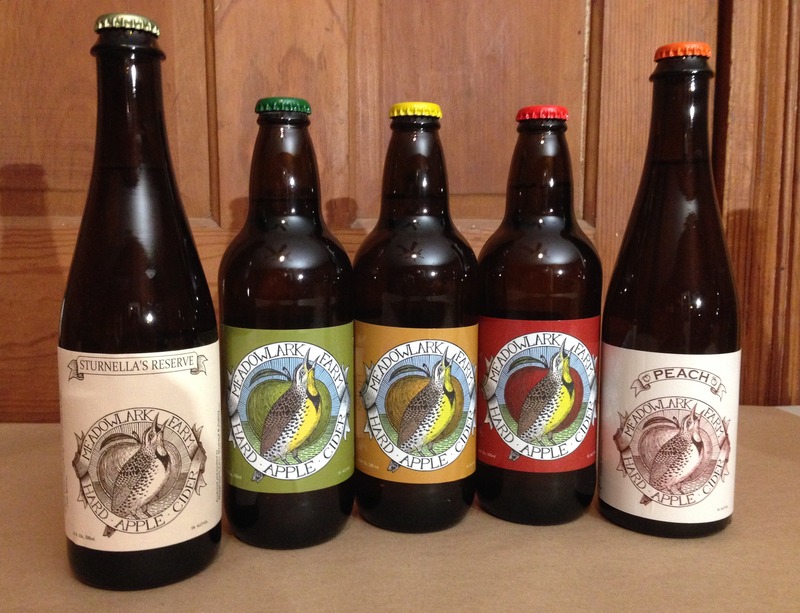 Meadowlark Farm is now a federally and state licensed “Cidery”!!! That means we can legally produce fermented hard cider that contains its own alcohol from Kansas apples. Hard Cider is legally a fruit wine; produced by fermenting fresh apple juice with specially selected cider yeast, and managing the fermentation to produce a refreshing and bubbly drink with an alcohol content of around 5%. Our hard cider is lightly carbonated and we sell it in 12oz capped bottles. It is best enjoyed chilled poured into a large Bordeaux wine glass or something similar that allows the cider’s fruit aroma to collect just inside the rim of the glass. Hard Cider is not beer. It is made from apples and contains absolutely no gluten or grain products. In alcohol content, packaging and pricing it is similar to a craft beer, but in taste and versatility it is more like a white wine. WHERE DO OUR APPLES COME FROM? Over the past five years, we have planted about 15 acres of apples. They are south of the creek and you can cross our new footbridge to go wander in our young apple orchard. Since it takes three to five years for apple trees to start production (but then they should bear zillions of apples for decades to come! ), we don’t yet have enough apples to produce the cider we want, so we get our apple juice from my friend Rex Rees at Rees’ fruit farm (http://reesfruitfarm.com/) in Topeka. We planted a lot of different kinds of apples; mostly dessert apples suitable for the Kansas climate such as Gala, Jonathan, Cortland, Jonagold, Fuji, Braeburn, and Pink Lady. We also planted some newer, disease resistant varieties such as Pristine, Enterprise, Williams Pride, Jonafree, Winecrisp and Jonalicious. Then we planted some exotic hard cider varieties like Dabinett, Chisel Jersey, Cox Orange Pippin, Ashmead’s Kernel, Binet Rouge, Wickson Crab, Golden Hornet Crab, and a few others. While we currently purchase our raw pressed apple juice from Rex in Topeka, made from his apples. But as our apple trees increase production, we will take our own apples up to Rees’s farm for grinding and pressing then we’ll ferment our hard cider from that juice. That is where our ‘exotic hard cider apple varieties’ will become very important. Those varieties have been selected over many generations by cider apple growers in France and England to bring just the right amount of sugars, tannins, aroma and tartness to the cider blend. So as our apples start to produce, we will continually experiment with blends of our hard cider with dessert varieties of apples to create a cider that can only be produced at our farm with our apples. Our cider is already a truly Kansas drink; grown, fermented and bottled here in this beautiful state of Kansas. But soon, it will be the unique product of our few acres of trees growing in the sun, wind, rain and soil of our southwest Butler County, Kansas apple orchard. Here are some really good videos from Penn State University that cover the basics of hard cider styles. We have ciders that fit most of those mentioned styles. Try them out! 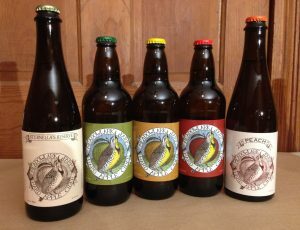 HOW DO I GET MY HANDS ON SOME MEADOWLARK FARM HARD CIDER NOW?! Meadowlark Gold: A semi – dry and crisp hard cider with a subtle apple flavor; excellent with fish and chicken or paired with cheese and fresh bread. Meadow Hopper: A very dry, citric, thirst quenching refreshment. As hopped as an IPA but over an austere fruit wine structure. Our Hard Cider blended with peach wine that we crafted from our own peaches. A perfect, summery blend of apple with a strong, fresh peach aroma. You can purchase our cider in bottles at the farm – see our seasonal hours – and on tap at Central Standard Brewing (www.centralstandardbrewing.com), The Anchor (http://anchorwichita.com/) and Public at the Brickyard (http://publicoldtown.com/) and in the summer at the Old Town Farmers Market and at the Lincoln Heights Farmers Market. 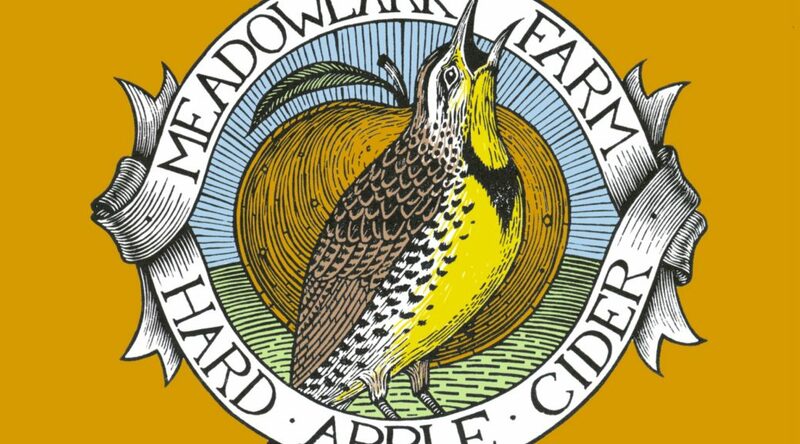 Please keep an eye on our facebook page for announcements relating to Meadowlark Farm Hard Cider availability.